As we wake up to the news that Spain, banks are to receive 100 billion Euros (for starters ) without any declaration to investigate the corrupt dealings and total plunder of the funds in some of these banks one would be forgiven in thinking the Banks around Europe are still in business of fraud, corruption and the political gangsters are only too happy to help their buddies ! Meanwhile over in Ireland our clueless gombeen politicians have pulled off a master con on 60% of the voting citizens by getting them to pass new austerity measures dictated by Berlin under the guise of “stability” .Well there is no doubt now that not every European citizen is equal nor are the various countries within the European Union treated equally as we now see Spain will not have to submit to the scrutiny of the Jackboot troika brigade no such treatment is reserved for small countries like Portugal and Greece and Ireland .Berlin can blackmail these small countries but Spain can blackmail Berlin! Where did it all go wrong??? If Ireland has any sence now they should demand the same condititions that Spain has received and this time no more mr. nice guy send out the rottweilers to the ECB Gansters! Just think what all the Billions that have been pumped into the corrupt banking system could have done for social integration of Europe, the re-education and up skilling of the millions of unemployed in Europe, health services for the aged and education for our children’s future. No my friends the corrupt and toxic bankers are still getting stronger and more brazen; democracy in Europe has been replaced by a banker autocracy! Nothing has changed; the faceless moneymen are still in charge! German government has undermined its own efforts to save the euro and the EU as a whole, after it negotiated a 6,3% rise in salaries of public-sector workers. 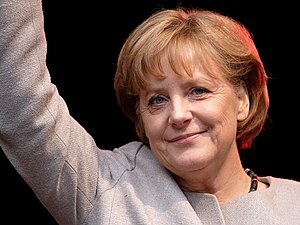 Chancellor Angela Merkel’s team faced a risk of general strike of public workers, after their union, called Verdi, placed an ultimatum and requested a 6,5% rise in salaries. The syndicalists rejected a 3,3% offer from government and insisted on 6,5%. Finally the government accepted 6,3% making itself look funny on a stage of all-EU-wide spending cuts. Germany is the main inspirer of so called “austerity” programs that are requested from deeply indebted EU countries like Greece, Spain, Portugal, Italy, Ireland (PIIGS) and so on. Even in France the fighting to re-elect President Nickolas Sarkosy had to implement some unpopular money-saving measures. In all these countries there are often strikes, and in Greece the situation is close to a revolution. All these governments are pressed by Germany to cut their spending, to fire public-workers, to close hospitals and schools, and generally – to reduce the budget deficit and public debt. While making all this, Germany decides to avoid the strike by accepting all union’s requests. So Merkel is forcing austerity, job cuts and socializing private German Bank gambling debts on to the shoulders of the taxpayers in Ireland and other nations in Europe and at the same time she is giving into to the demands of higher wages to the German civil service .What’s good for the goose stepping Merkel is not good for Ireland and the rest of us in Europe. Ireland will get up off its knees, and so will the rest of Europe, we the people will not tolerate the arrogance and treachery of our own gutless politicians who have keeled over and sold us out to German interests. Wake up Ireland and send this New German Führer a strong and defiant message. We will not pay you for our own enslavement; we will fight to keep our own independence and we will rid ourselves of the collaborators in the Dall! > The breakup of the euro would be an historic event, but it would not be the first currency breakup ever – Within the past 100 years, there have been sixty-nine currency breakups. Almost all of the exits from a currency union have been associated with low macroeconomic volatility. Previous examples include the Austro-Hungarian Empire in 1919, India and Pakistan 1947, Pakistan and Bangladesh 1971, Czechoslovakia in 1992-93, and USSR in 1992. > Previous currency breakups and currency exits provide a roadmap for exiting the euro – While the euro is historically unique, the problems presented by a currency exit are not. There is no need for theorizing about how the euro breakup would happen. Previous historical examples provide crucial answers to: the timing and announcement of exits, the introduction of new coins and notes, the denomination or re-denomination of private and public liabilities, and the division of central bank assets and liabilities. This paper will examine historical examples and provide recommendations for the exit of the Eurozone. > The move from an old currency to a new one can be accomplished quickly and efficiently – While every exit from a currency area is unique, exits share a few elements in common. 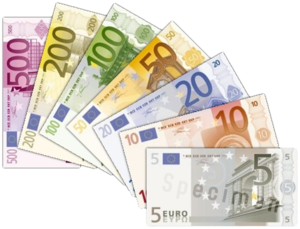 Typically, before old notes and coins can be withdrawn, they are stamped in ink or a physical stamp is placed on them, and old unstamped notes are no longer legal tender. In the meantime, new notes are quickly printed. Capital controls are imposed at borders in order to prevent unstamped notes from leaving the country. Despite capital controls, old notes will inevitably escape the country and be deposited elsewhere as citizens pursue an economic advantage. Once new notes are available, old stamped notes are de-monetized and are no longer legal tender. This entire process has typically been accomplished in a few months. > The mechanics of a currency breakup are surprisingly straightforward; the real problem for Europe is overvalued real effective exchange rates and extremely high debt – Historically, moving from one currency to another has not led to severe economic or legal problems. In almost all cases, the transition was smooth and relatively straightforward. This strengthens the view that Europe’s problems are not the mechanics of the breakup, but the existing real effective exchange rate and external debt imbalances. European countries could default without leaving the euro, but only exiting the euro can restore competitiveness. As such, exiting itself is the most powerful policy tool to re-balance Europe and create growth. > Peripheral European countries are suffering from solvency and liquidity problems making defaults inevitable and exits likely – Greece, Portugal, Ireland, Italy and Spain have built up very large unsustainable net external debts in a currency they cannot print or devalue. Peripheral levels of net external debt exceed almost all cases of emerging market debt crises that led to default and devaluation. This was fuelled by large debt bubbles due to inappropriate monetary policy. Each peripheral country is different, but they all have too much debt. Greece and Italy have a high government debt level. Spain and Ireland have very large private sector debt levels. Portugal has a very high public and private debt level. Greece and Portugal are arguably insolvent, while Spain and Italy are likely illiquid. Defaults are a partial solution. Even if the countries default, they’ll still have overvalued exchange rates if they do not exit the euro. It would be like a Lehman-times five event. A euro break-up would cause a global bust worse even than the one in 2008-09. The world’s most financially integrated region would be ripped apart by defaults, bank failures and the imposition of capital controls. If the euro implodes, [the UK’s] biggest trading partner will go into a deep recession. Banks may well go under, so will currencies both new and old. Investment will freeze up. Unemployment will soar. There is no way the UK is going to escape from that unscathed. A euro area breakup, even a partial one involving the exit of one or more fiscally and competitively weak countries, would be chaotic. A disorderly sovereign default and Eurozone exit by Greece alone would be manageable… However, a disorderly sovereign default and Eurozone exit by Italy would bring down much of the European banking sector. Disorderly sovereign defaults and Eurozone exits by all five periphery states… would drag down not just the European banking system but also the north Atlantic financial system and the internationally exposed parts of the rest of the global banking system. The resulting financial crisis would trigger a global depression that would last for years, with GDP likely falling by more than 10 per cent and unemployment in the West reaching 20 per cent or more. Thomas of course Germany is BOOMING they are the ones who have a contrived fixed exchange rate that is sucking the life out of Greece, Portugal, Ireland, Spain and Italy. They are getting cheap produce and their industrial goods are priced at a THIRD of what they should be. Thus they are wiping the DOLLAR of the face on the earth. They and they alone are in a position to exploit the new eastern countries being brought into Euroland. A new Germany is rising out on the ashes of a crumbling Europe. 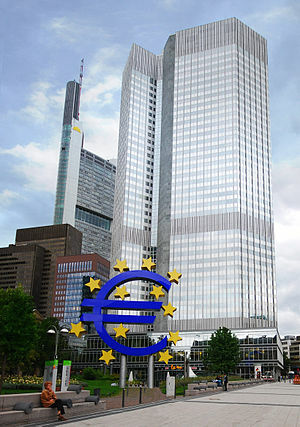 The European Central Bank says it is backing both Italy and Greece despite not having the funds for it. Push is coming to shove for the EU. If it’s to survive, it will have to be as a radically different entity. Greece is totally broke. Bailouts make it possible for the nation to pay its bills, but add to its total debt. There is no plausible scenario in which Greece can earn enough money to repay its current debt, let alone new ones. If it were a person or a company, it would already have declared bankruptcy and tried to start over. There is a lot of debate over whether the Greeks should jump out of the EU or be pushed. Ireland and Portugal: See above. these politicians must be held to account .